Giotto di Bondone, the most important Italian painter and architect of the 14th century was born in 1266 in a village outside Florence, Italian Republic. Bondone was discovered by a notable Florentine painter Cimabue while sketching his father’s sheep on a flat rock. With the permission of his father, Giotto went under Cimabue’s guidance as an apprentice. Bondone started his work with a series of frescoes (paintings on fresh, still wet plaster) depicting the life of St. Francis in a church at Assisi. All of those paintings represented peculiar incidents. He had an amazing talent of making realistic human and animal figures which was quite evident in his frescoes at the church. He very skillfully portrayed the gentle spirit of this animal loving saint through gentle and delicate scenes that he painted on walls. With the passage of time his work gained more and more proficiency and in 1305/1306 Giotto di Bondone presented an exuberant series of thirty eight frescoes in the Arena Chapel in Padua. These paintings also displayed the lives of Jesus Christ and of the Virgin Mary. He illustrated naturalistic scenes of the Court of Heaven and the Last Judgment. Giotto worked with simple compositions, kept the backgrounds subordinated, and painted the faces accompanied with lifelike graphics embedded with emotional expression. When Giotto’s work gained enough recognition around, he started getting commissions from princes and high churchmen from far off places including Rome, Naples, and Florence, and all of them showed great gratitude towards his paintings. His great contributions include a series of his Biblical scenes in the Bargello, or Palace of the Podesta, which is identified as a museum now, in Florence. Moreover, the Church of Santa Croce can also be witnessed displaying murals painted by Giotto sketching the life of St. Francis. An important feature that distinguished Bondone’s work from artists of his era was the lack of technicalities regarding human proportions and anatomy that almost all of them possessed at those times. But he still managed to excel by mastering his talent of illustrating human emotions through his paintings. He had a perfect command over portraying human nature through his work and he very intelligently made best use of this talent. He pictured people with a variety of emotions including stress, coping up with life crises and struggling for soul searching decisions. 1334 was the year when the city of Florence appointed Bondone with the title of Magnus Magister (Great Master) and honored him with the status of city architect and superintendent of public works. This opportunity gave him a chance to exhibit his design skills and designed the famous campanile (bell tower). 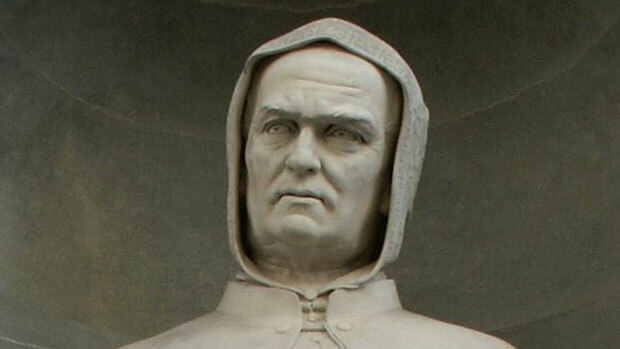 Giotto died on January 8, 1337 at the age of seventy in Florence. Before 1337 Giotto di Bondone stayed in Milan and offered his services there but today no traces of his work are found there anymore.